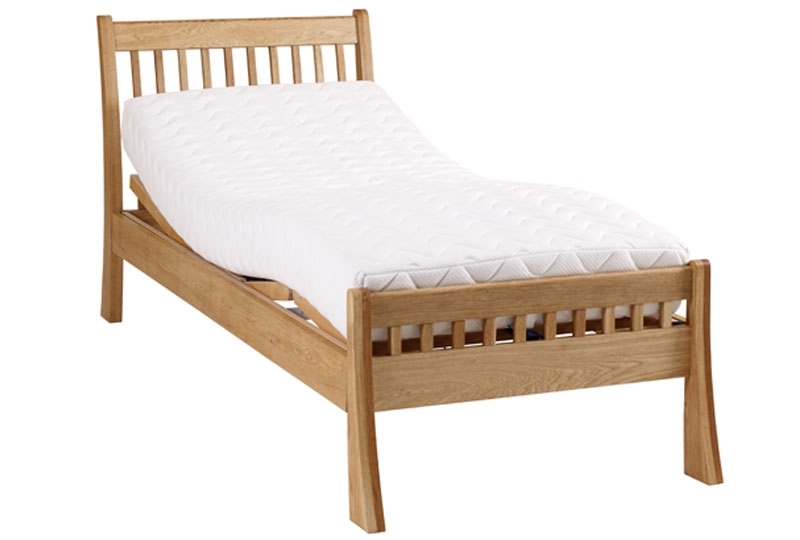 The Barle Solid OAK fully adjustable bed. 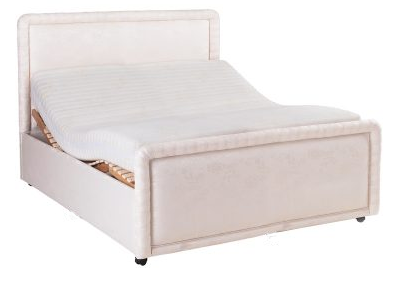 Can be altered to the perfect sitting height. 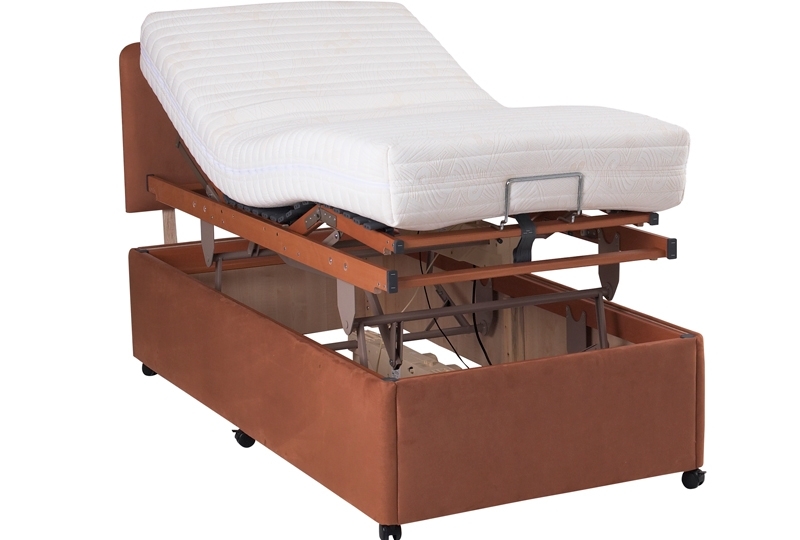 The Barle Solid OAK fully adjustable bed is contemporary in design and is in the new style of electric adjustable beds, designed for modern living with clean lines this bed is the center piece of any bedroom. 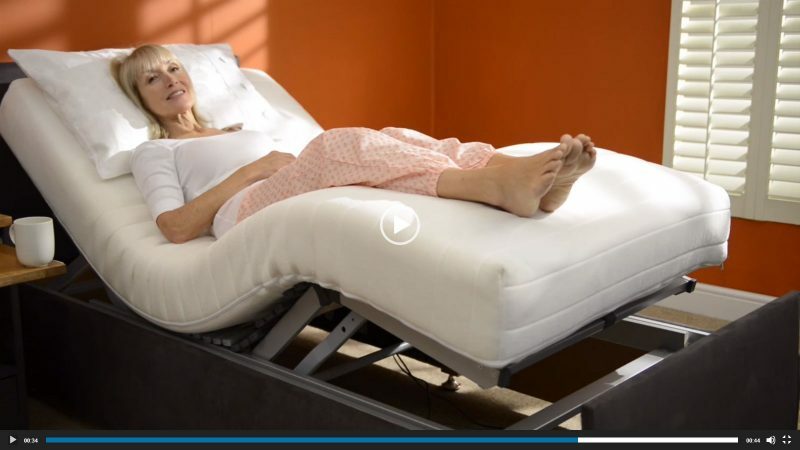 At the simple touch of a button this bed can be moved to adjust your upper and lower body to a comfortable and supportive position that suits your body needs. 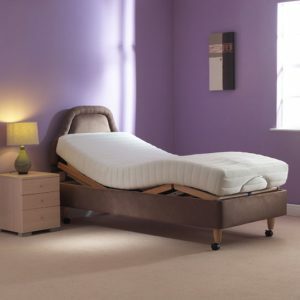 All of our adjustable beds are made to the highest specification and this bed includes a 5yr guarantee. 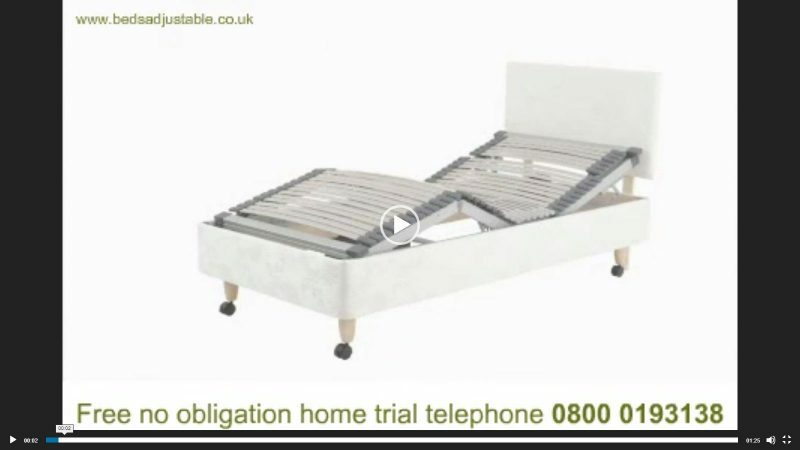 Try our bed in the comfort of your home without obligation and receive advice from a trained bed assessor to learn how to get the best nights sleep from your new adjustable bed. 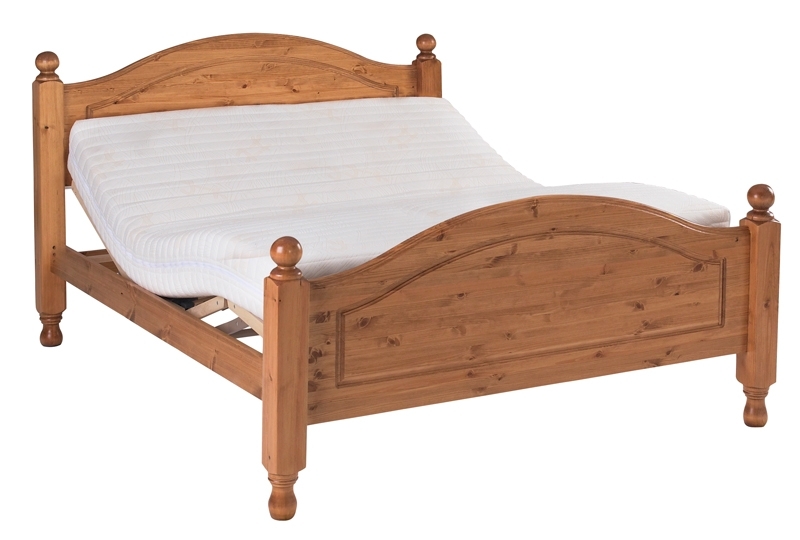 Dual: 4ft 6, 5ft and 6ft (independent movement on each side). 2. 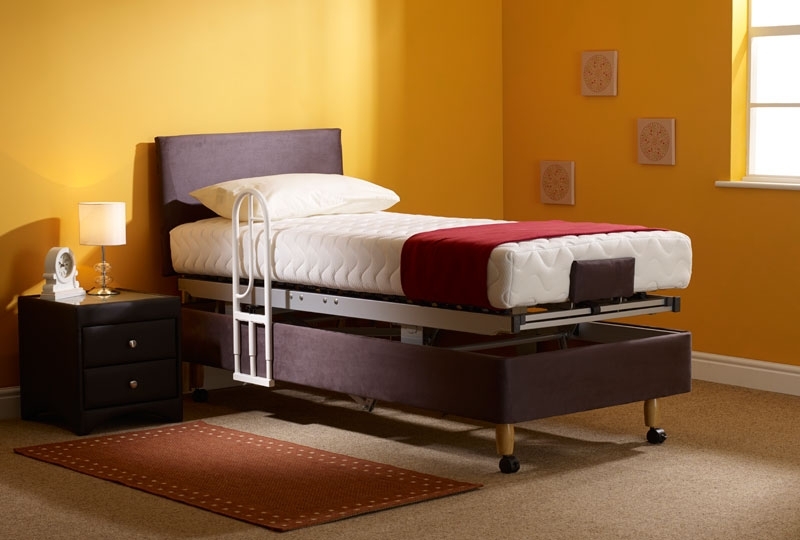 The bed height can be altered to the correct sitting height for the taller or shorter person to make it easier to get in and out of the bed. c. Hi – low carers mechanisms. 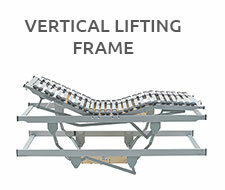 e. Heavy duty mechanism 18, 25 & 30 stone weight capacities. 4. 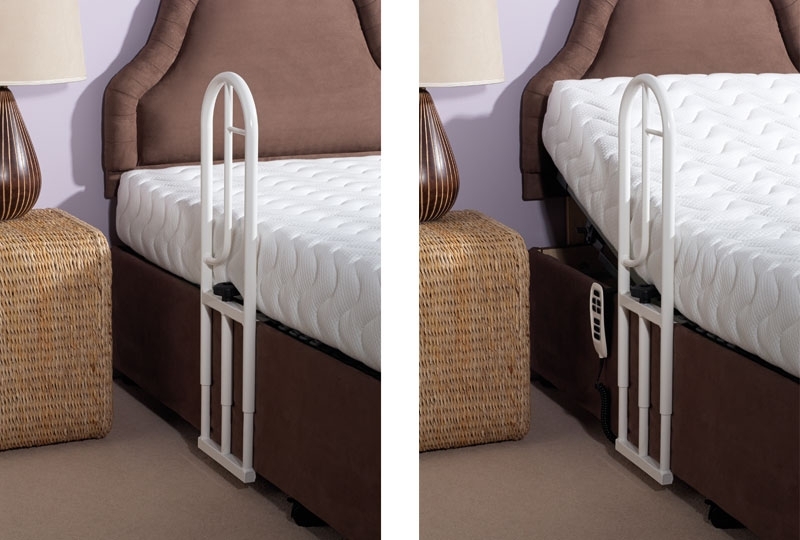 Mechanisms specifically designed for the shorter person as well as the taller person. 5. 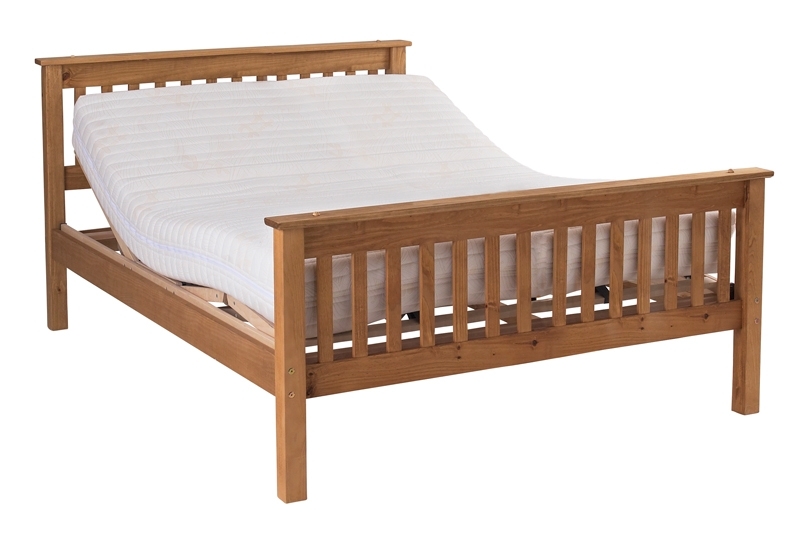 All mattresses are on a 7 day trial, you may exchange it for a firmer, softer or different mattress free of charge. 6. 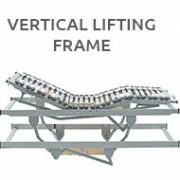 Weight Capacities: 18, 25 or 30 stone. 7. 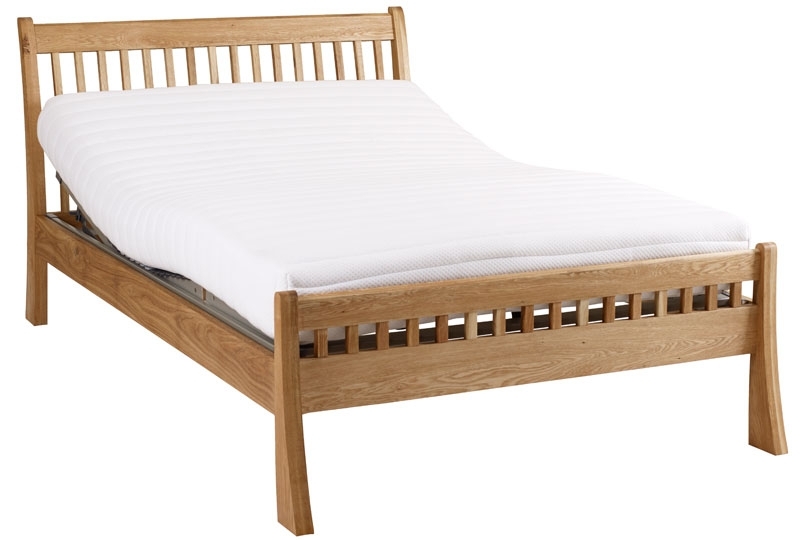 Free removal of old bed. 9. 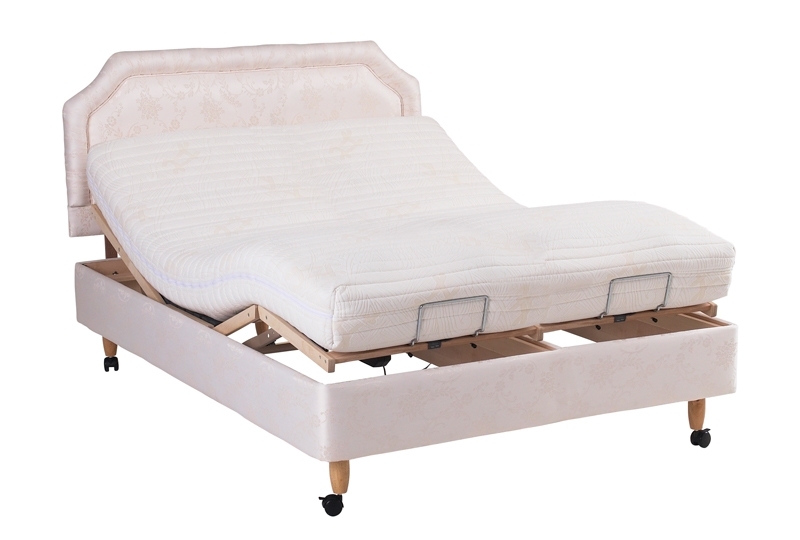 Bed head height 1110mm (43 inches) Foot end height 600mm (23 inches). 10. Range of accessories available (see menu bar above).